A few months ago we decided to take an extended sail out to the island. This was actually going to be a shakedown as part of a mini-vacation that we planned. The idea was to sail out for nine days, enjoy fishing and catching lobster, and hanging out at the island. The playlist can be found HERE. We were going to meet First Mate’s cousin and her boyfriend when they arrived on our third day there, and hang with them for the weekend until they had to return. It was going to be a fun sail! Although we were expecting to shake a few things down, we thought that all of our critical systems had been ironed out, so we didn’t expect anything major to spoil our trip. 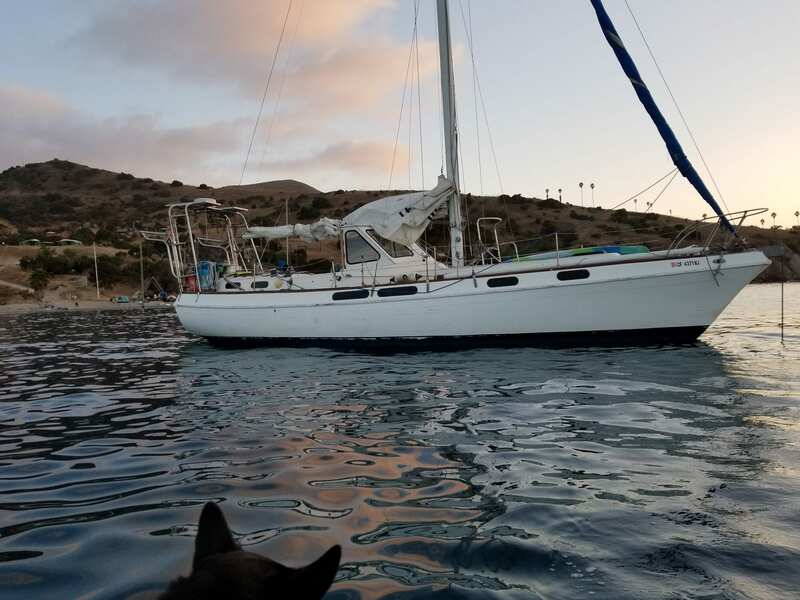 I had plumbed the 60-gallon tank in the forward cabin into the rest of the water system giving us a total of about 160 gallons, installed a larger 45-pound CQR anchor, the dodger was installed, the mast pulpit was installed, the prop had been repitched for the new diesel, and generally everything else worked. The only SNAFU we had was our 2300 watt inverter stopped working the morning that we were supposed to leave, so we spent the better part of that morning finding an inverter and installing. We found a 1000 watter at Home Depot and installed that temporarily. We have now ended up with a 33000-wattinverter that I have moved from the engine room to under the settee, close to the batteries. Too much moisture in the engine room and that seems to make for a short-lived inverter. With the inverter installed, we were off! We ended up spending eight days at the island, caught eight lobsters (seven legal), a Sheep’s Head, a Bonito, a Sand Bass, and several Mackerel – we later used the Mackerel as lobster bait. 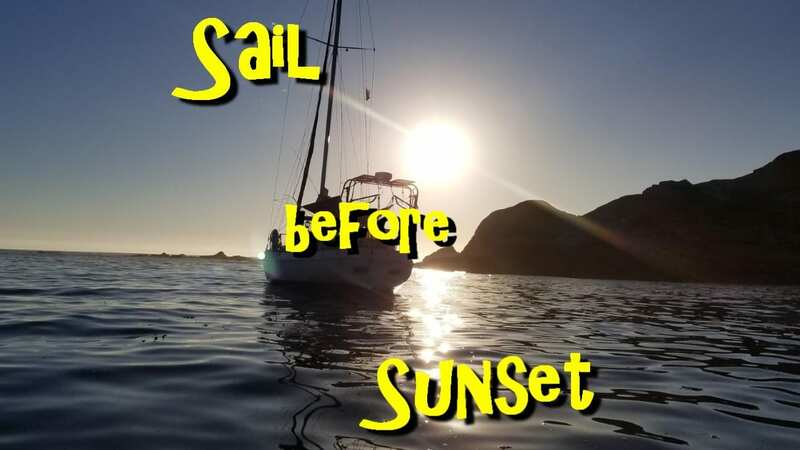 It was a wonderful trip, but you always learn things that you later add to a punch list when you sail. Here are a few things that we learned. First of all, we need a much larger inverter. 1000 watts is just too small. We got along well with the 2300 watt inverter that we had, but 1000 watts would almost not run the microwave. 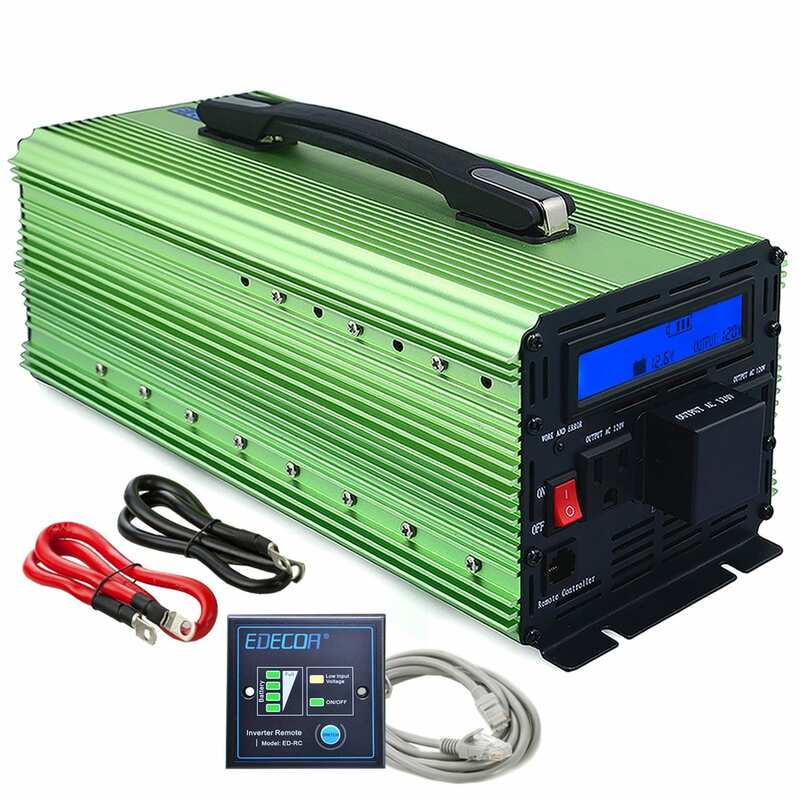 What I have now installed is an EDECOA 3000W Power Inverter . I also decided not to reinstall the inverter in the engine room. It just gets too hot in there and because the bilge is under the engine, it is sometimes humid. Not good for electronics. 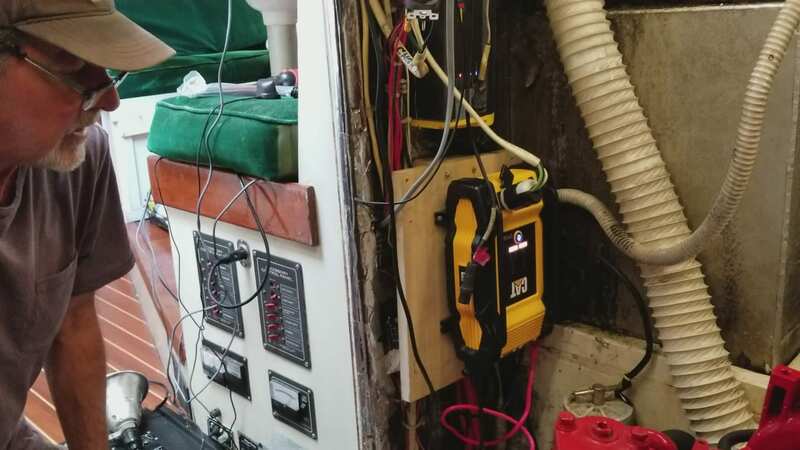 I instead installed the inverter under the seat of the settee and close to the batteries. I may install a small fan to vent the area when the inverter is running, too. One of the really great features of this inverter is the remote switch. I mounted it above the settee so that now we can turn it on and off without having to have access to the inverter. It has a battery level indicator on the switch, which is nice, and the cable connecting the switch is an ordinary network cable, so if I want to move the switch farther away all I have to do is replace the cable with a longer one. The next thing that we learned is we really need more rode and a better stern anchor. We have a Danforth, but it does not hold when the wind shifts. We will probably use our old 35-pound CQR as a stern anchor and will use some old rode that we have in our dock box to give us about 200 feet to kedge out. A stern anchor is critical at some of the anchorages that we frequent, so the tackle we use is really important. countertops. This will happen soon because you really don’t want an unhappy First Mate. We will also be installing two very bright spots on the spreaders. While we were checking lobster traps at 2 a.m. it became very apparent that the spreader lights we have just aren’t going to work. They are old incandescent lights, anyway, so it is way past time for them to be replaced. Being that Amazon is our friend, I think I’ve found a great solution. This little gem is made for the outdoors, so it should be okay on the spreaders. The best part is that they are only about $12 each! Anyway, this is a brief of what we are working on based on what we experienced while sailing. We hope it helps!